The best kneepad on the market. 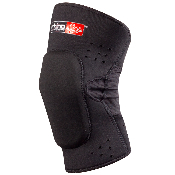 Foam/Gel padded technology provides extra protection to prevent meniscus tear, swelling or bursitis. Breatable mesh has an anatomically contoured shape to hug your knee and stay fit while bending your legs.